In order to provide as much value as possible, I have created this resource page that you can always come to for all of your small business needs. As I explore more products and services that will help you make your business efficient, I will add them to the resource page. I am sure that you will see this page quite often in my posts. For your reference and convenience bookmark it and share. Have Fun! Disclosure: Please note that some of the links below are affiliate links, and at no additional cost to you, I will earn a commission if you decide to make a purchase. Please understand that I have experience with all of these companies, and I recommend them because they are helpful and useful, not because of the small commissions. My goal is not to get you to spend any money on these products unless you feel they will help you achieve your goals. 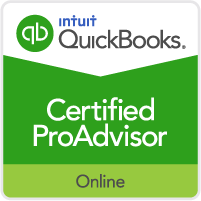 Quickbooks Online is what I use for the Virtual CFO clients who need payroll and payroll tax capabilities. As we all know Quickbooks has been the workhorse of small business accounting for years. The Quickbooks Online version has a lot of features and add-ons that will help your business. Another plus is the desktop to online conversion which will aid your businesses transition to the cloud if you have previously used the desktop version. Amazon.com is my favorite resource for books, office supplies and electronics. Walmart.com is a great resource for all office supplies and electronics (i.e. paper, envelopes, etc). Deluxe is a great resource for business checks, business cards, signature stamps, and business forms (i.e. W2s & 1099s). I order my W2 and 1099 printable forms for Deluxe for Quickbooks Online Payroll Clients. Stamps.com lets you print USPS-approved postage right from your PC. Print postage to send letters, packages, and even Priority Mail. This service virtually eliminates trips to the Post Office unless you like to hang out with the Postmaster like me. Stamps.com: Print postage right from your PC. Sign up for our 4 week no-risk trial offer and get FREE postage!